Three months of Bible readings to help you investigate Mark's Gospel, Judges and Ruth. There's a quick look into Matthew's Gospel to find out who Ruth is related to. 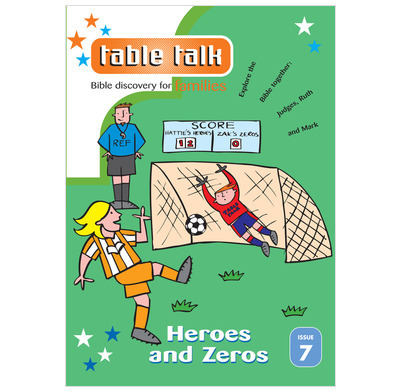 My wife and I find table talk provides good ideas and a very helpful way of teaching the bible to our 5 and 6 year olds. There are good suggestions as to activities or discussion topics to get them started and good questions to guide us through the passage. It is excellent value!